The cutest idea to add on to the Christmas spirit is having fun holiday surprises in your stockings! Here are ideas on what to get for under $20! 2) Fuzzy socks – There are tons of cute ones to pick from and they are very cheap! 3) Bath and Body Works mini lotions or body sprays – There are always great deals around the holiday times. 5) Scented mini candles like these from Bath and Body Works. They have all scents, including holiday ones! 6) Ear-buds – You can find cute and cheap ear-buds at most stores, like Claires, For Love, etc. 7) Makeup Brush Set – This is a great item to get for almost any girl. Target has great deals on lots of different brush sets. 8) Nail polish – You can get a set of wild colors, or buy them individually at the right price! Click here to see Target’s deals. 1) Gift card to Game Stop! – Most guys are huge video game lovers. 3) Ear-buds – Usually guys like the skull-candy ones. You can find them at any Target store. 4) Shades (Sunglasses) – Always a great gift to get! Tilly’s has tons starting at $10 only. 5) Body spray – You can find this at Tilly’s also, or at any Target. 6) Paracod bracelet – This site has tons you can chose from, including custom design! 7) Socks! – Tilly’s has tons from all different brands. There are plenty more stocking stuffers to include! Anything small you know that the person will like, you can stuff into the stocking! 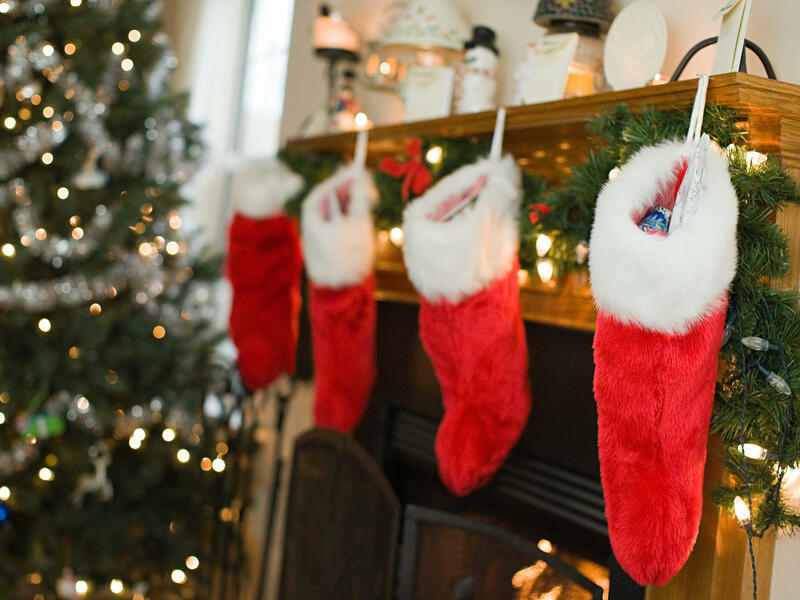 Don’t forget to do it the traditional way and fill the bottom of the stocking with tons of candy! Happy Holidays!